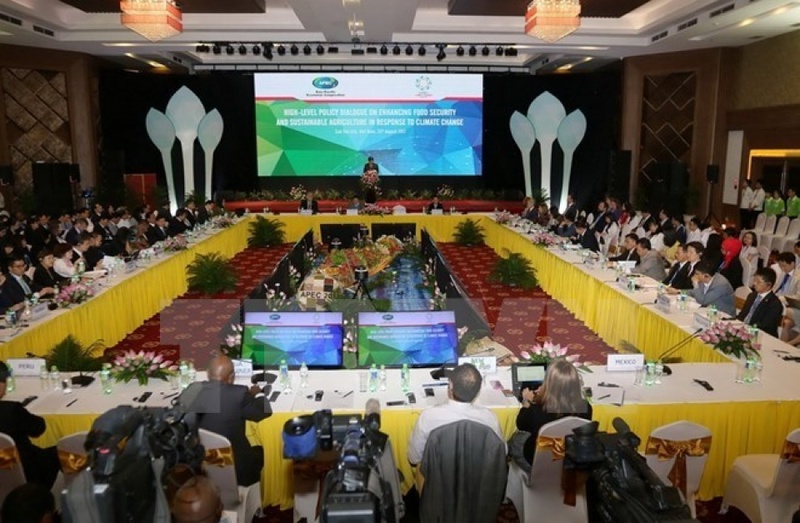 Vietnam, a country grounded on agriculture and an important player in the global food system, is partnering with other members of the Asia-Pacific Economic Cooperation (APEC) forum to ensure food security in the face of climate change. A working session of the APEC High-Level Policy Dialogue on Enhancing Food Security and Sustainable Agriculture in Response to Climate Change that took place in Vietnam's Can Tho city in August 2017. John Paul Kendiga, Director of the Economic Research, Policy Planning, Programming and Coordination Branch under the Department of Agriculture and Livestock of Papua New Guinea, said the Food Security Week is very useful as his country is facing climate change impacts similar to Vietnam’s.